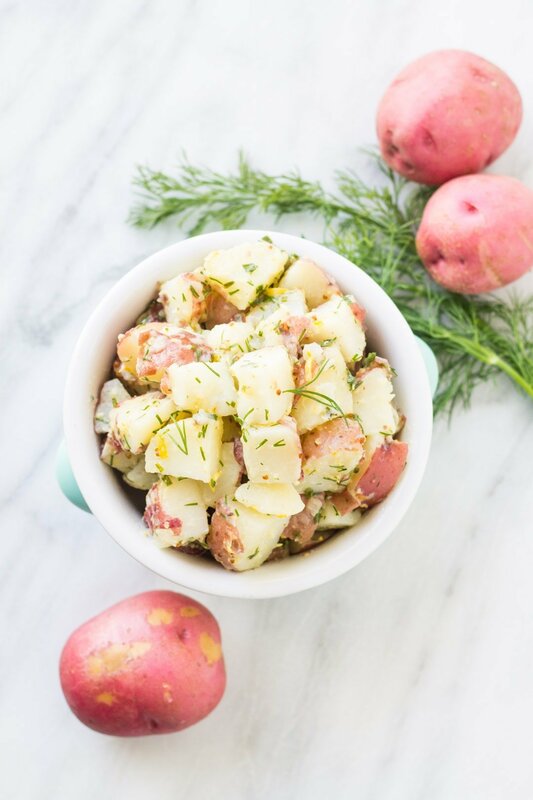 Fresh herbs and a light olive oil vinaigrette make this Low FODMAP Dilly Potato Salad a warm-weather favorite! 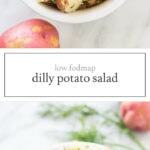 Instead of a traditional mayo-based sauce, this Low FODMAP Dilly Potato Salad uses a flavorful olive oil and fresh herb vinaigrette. 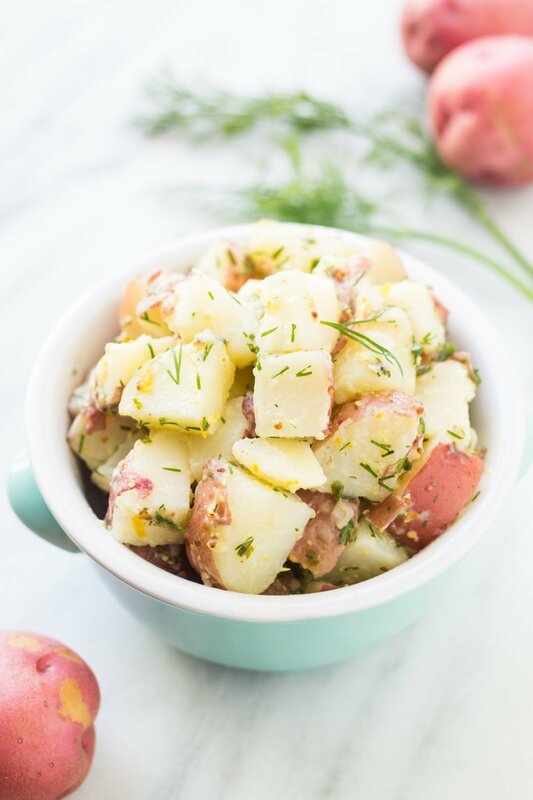 Served warm or cold, this delicious salad is perfect for any warm-weather grill-out or get-together! Bring a large pot of water to a boil. Add red potatoes and cook until fork-tender; about 15 minutes. Drain, cool and cut in quarters. Set aside. In a small bowl, whisk together chives, dill, olive oil, lemon juice, lemon zest, mustard, and vinegar. Add to potatoes. Stir until everything is mixed and coated with dressing. Season with salt and pepper, to taste. Serve or cover and refrigerate until ready to serve. Simple and Delicious! Thank you for the great recipe. Hello again! I just wanted to let you know I made this and it was delicious! I made some adjustments, using homemade mayo and some hard boiled egg, but your recipe was a good base. My mom loved it too! Those sound like tasty modifications! Thanks for sharing, Amanda!